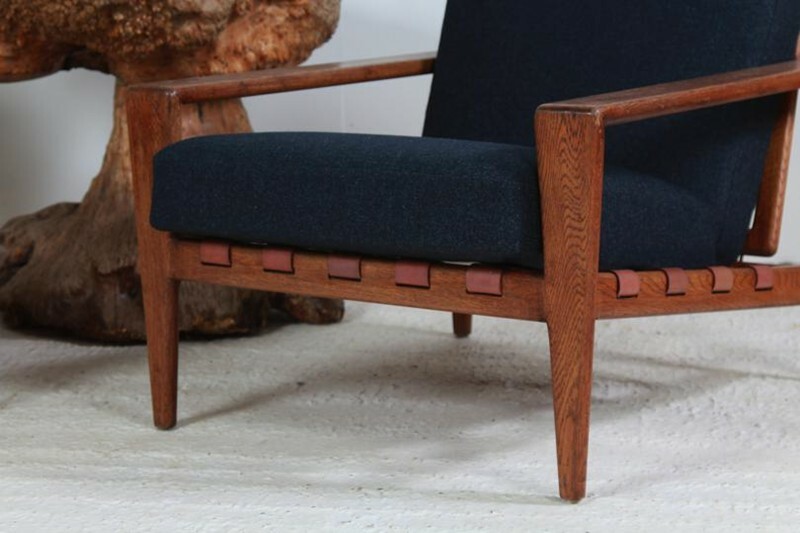 Rare pair Swedish lounge chairs Bodö in oak designed by Svante Skogh for AB Hjertquist & Co. The model was designed 1957. Removable cushions resting on leather straps. The chairs have new padding around the original metal inner springs and are upholstered with ecological black wool fabric. In very good condition with smaller traces of use - primarily on the armrests.